Lexus is displaying the 2018 Lexus LS at the 2017 Thai Motor Expo. The company had launched the all-new Lexus LS in Thailand just days before the 2017 Thai Motor Expo opened last month. The 2018 Lexus LS is available in Thailand in three variants: LS 350, LS 500 and LS 500h. 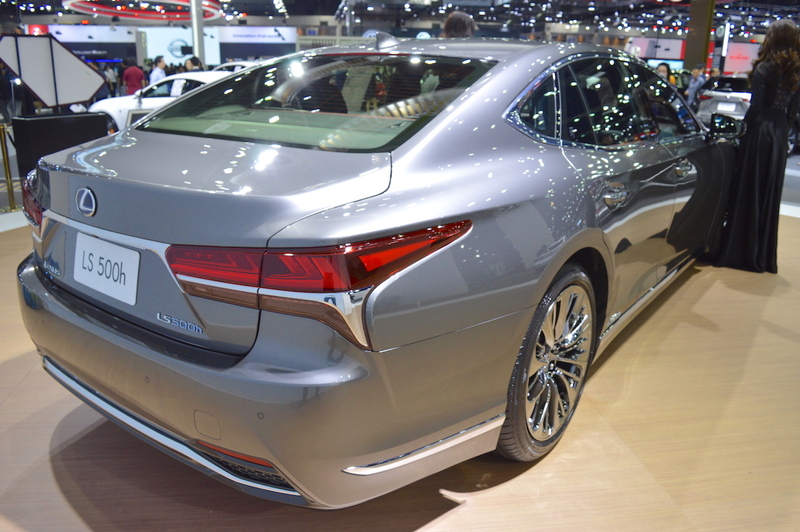 Although, Lexus has listed only the LS 500 and LS 500h. The LS 350 has a 3.5-litre naturally aspirated V6 petrol engine under the hood. In the Chinese-spec version, this engine produces 318 PS and 380 Nm of torque. The LS 500 sports the V-35A-FTS 3.5-litre twin-turbo V6 petrol engine good for 421 PS and 600 Nm of torque. The LS 350 and LS 500 both have a 10-speed automatic transmission. The LS 500h is an HEV using the 8GR-FXS 3.5-litre naturally aspirated petrol engine and the 2NM electric motor together. The combustion engine develops 299 PS and 356 Nm of torque. The electric motor generates 180 PS and 300 Nm of torque. In all, it has a combined power output of 359 PS. An e-CVT is standard in the LS 500h. LED headlamps, 20-inch alloy wheels, LED tail lamps, moonroof, 28-way (front)/22-way (rear) power seats, heating, cooling and massage functions for the front seats, footrest for the rear seats, 4-zone climate control system, 24-inch colour head-up display, 12.3-inch infotainment system display and a 23-speaker Mark Levinson Reference Surround audio system are some of the key features of the 2018 Lexus LS. 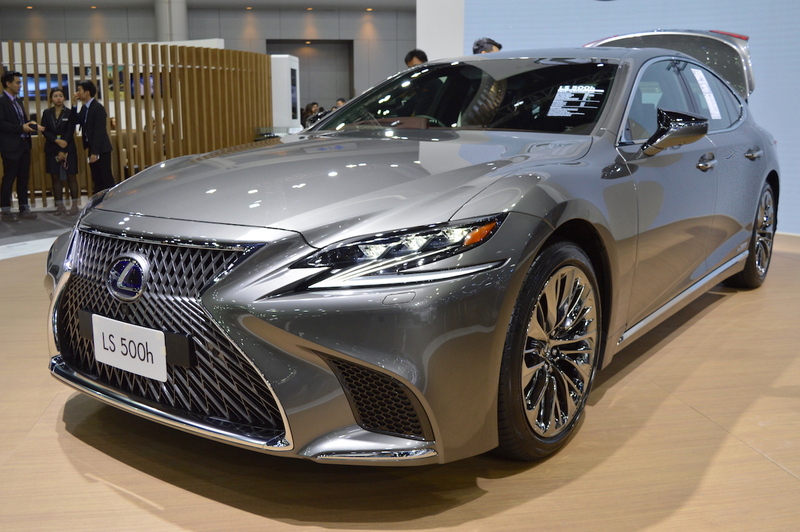 The 2018 Lexus LS’ prices in Thailand range from 1,15,30,000-1,58,30,000 Baht (INR 2,28,20,732.55-3,13,31,500.11).